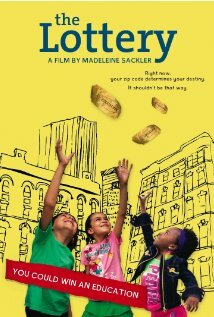 This week I watched the acclaimed documentary, “The Lottery.” This documentary is about Harlem Success Academy, a public charter school that emphasizes on helping students achieve higher reading or math results. Now, I won’t give you entire synopsis of the documentary, that is for you to watch! However, I can give you a slight bit of the rundown of the issues they addressed in the film and what we are currently covering in our capstone class. The film focuses on four families trying to get their child in a spot into Harlem Success Academy, in hopes of a better academic life and future. Founder Eva Markowitz has dedicated her life to revamping and creating the charter schools to be accessible to as many students as possible. Her goal, as well as Harlem Success Academy’s goal is to say to students, “I am going to help you become a college graduate.” That said, families are willing to do what it takes to have their child into the academy, which does an annual lottery system to select students that are admitted to their school for the following academic year. From what the film states, there is a massive achievement gap that is growing bigger and bigger each year, currently a four year gap between the average African-American twelfth grader having the same abilities as a Caucasian eighth grader in all subjects. The interesting view I noticed in the film was that some school board members, state representatives or whatnot, have all said that they know what it takes for a school to be successful. Harlem Success Academy is doing just that, but the question I keep asking myself is, why aren’t we seeing this elsewhere and why aren’t there anymore other schools like it? Back home in Hawaii, there were two charter schools that started about ten years ago. Both still exist, but I do remember in the newspapers about how these two charter schools were shutting out students that wanted to attend but could not due to funds or students who were not able to make it in the regular school system, were eventually brought over to the schools. I honestly had a bad impression of charter schools growing up and was clouded over stereotypes over the fact that it was either children who did not do well in school or were misbehaving, went there. Children who’s parents could afford it, went there. Parents negatively thinking our public school systems did not qualify, they sent their students there. Those were some interesting things to think about. Honestly, now that I learned more and continue to learn more in the topic, I think charter schools are positive ways to help students who struggle, but also students who want to be there as well. 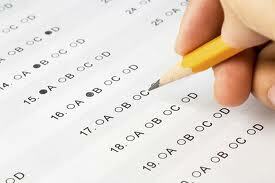 In the film, none of the students that were filmed struggled with reading difficulty, but it was parent preference that they sent their children to Harlem Success Academy. So, charter schools enable families to have a choice in what school they want their children to attend rather than zoned schools. However, I’m beginning to wonder how does this become the choice for everyone? I guess what I’m trying to say here is that it was heartbreaking that during the film some people did not get chosen for the lottery. I think that the context of ‘lottery’ is a bit negative, especially when this golden ticket sets the path for a child, and one that does not receive the good news, well…try again next year or go somewhere else. So, why are we making the future a gamble? Shouldn’t everyone have a fair shot? Of course, in our culture, the American Dream, we are told that if we work hard, we will succeed. In this case, what if your cards don’t play out? I believe that charter schools are an excellent way to improve a child’s academic life, but I still believe there is so much money, resources, staffing, and more that needs to be done to ensure that this opportunity is given to all students, not by the draw of a hat.